We are a Canterbury based chauffeur company providing outstanding services in all areas of corporate, wedding, leisure and VIP transport in East Kent. We pride ourselves in our commitment to providing service of the highest quality. Leave the transport to us! 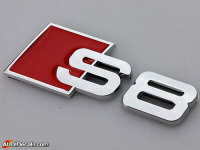 Bella Cars Canterbury offers a modern alternative with our Brand New Audi S8 Super Saloon. Complete with Uniformed Chauffeur and a package to suit your budget and needs. Whether you are looking for airport transfers, flight watching, travel to a corporate meeting or conference, Bella Cars Canterbury can ensure you arrive safely, relaxed and on time for your day ahead. Our professional and courteous chauffeurs are highly trained and experienced in ensuring your travel with us, is safe, reliable and punctual. If you’re looking for a Luxury SUPER car for your school prom night look no further! Bella Cars Canterbury have a Fantastic selection of luxurious cars available with a range of packages to suit your needs. Be driven in the ultimate luxury saloon! The 2016 Audi S8 is at the top of its class in both luxury and performance. Glacier Metallic White Exterior, Cream Fine Nappa Leather Interior, massive leg room, space and comfort and not to mention 0 - 60 mph in 3.5 seconds making the Audi S8 the fastest luxury saloon on the planet!